The Thunderstreak was a swept-wing development of the F-84 created with the hope of bringing the type’s performance to the level of its main competitor, the F-86 Sabre. 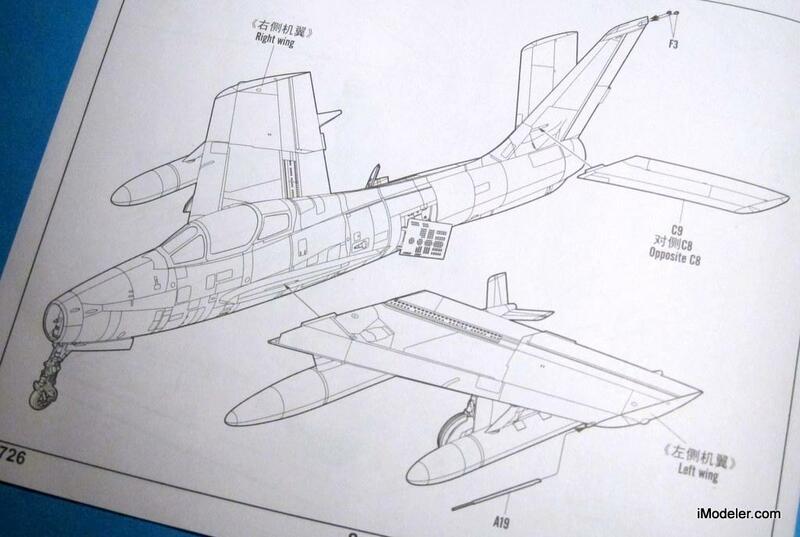 In the event it emerged as an almost entirely new airframe having only 15% in common with the straight-wing Thunderjet. Even so, the design wasn’t very successful and the Thunderstreak was relegated to tactical strike duties, a role adequate for its combat capability. Beside substantial numbers of F-84F in service with the USAF and the ANG, the Thunderstreak was provided in quantity to European NATO countries, ranking as one of true Cold War classics in this theatre. It has long puzzled me why this aircraft hadn’t been more popular with kit manufacturers, especially as straight-wing F-84G kits were proliferating in all scales. 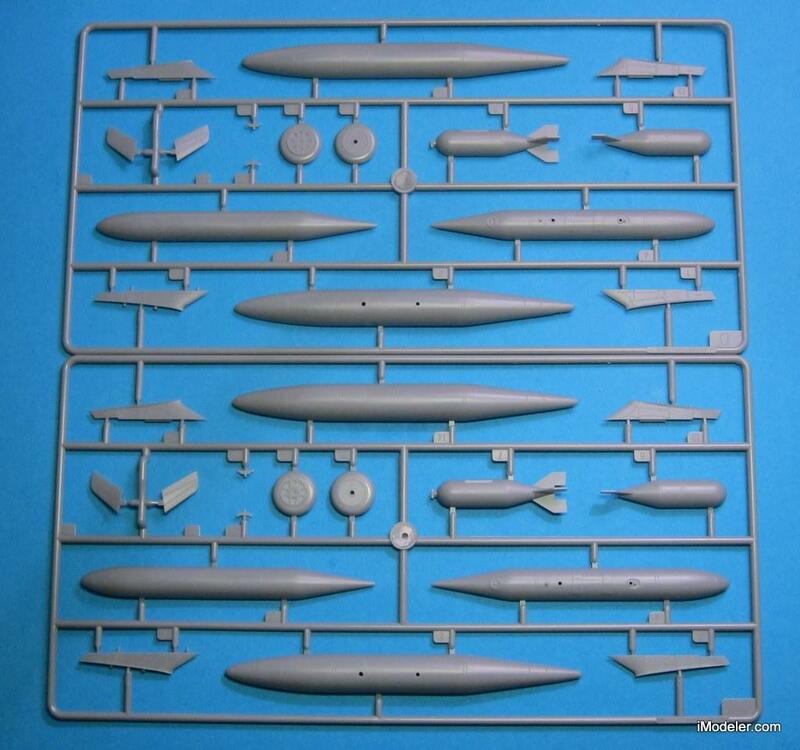 In 1/48 scale, the only truly modern kit to date is the Kinetic/Italeri offering. 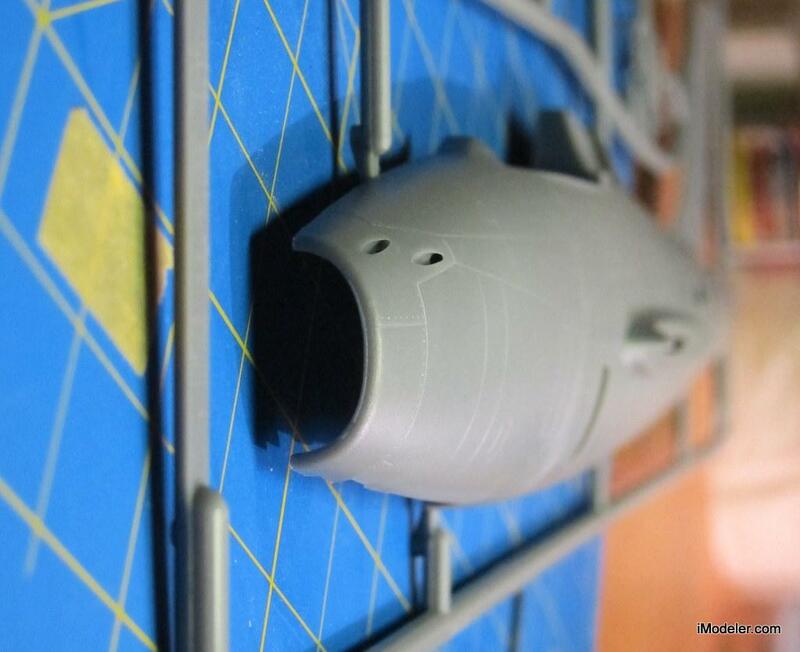 Being one of Kinetic’s first efforts, it is hampered by sub-par fit of parts and a somewhat heavy surface detail. 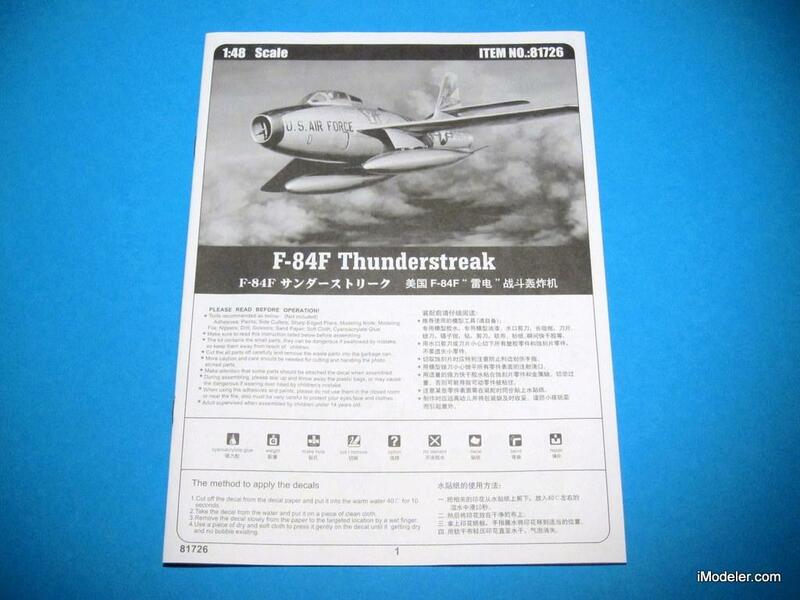 Enter the brand-new Hobby Boss F-84F Thunderstreak in 1/48 scale. 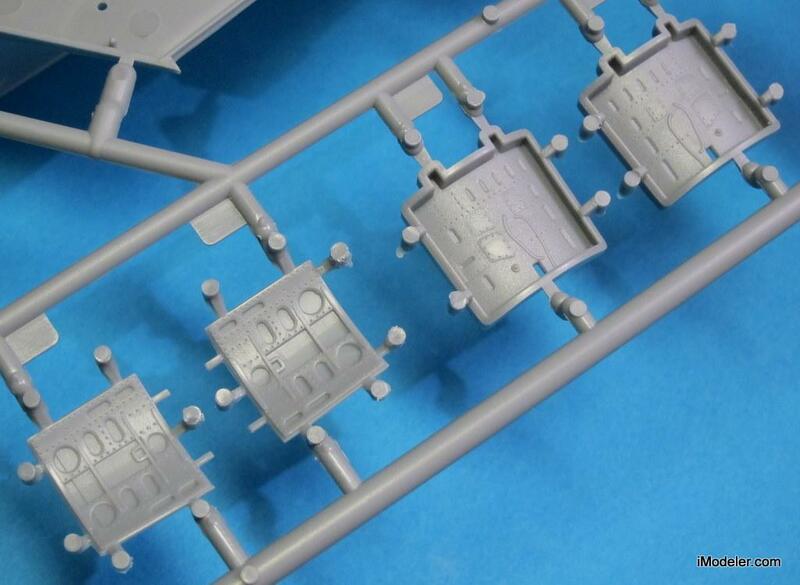 Upon opening the sturdy box one finds a set of six nicely packed sprues, one clear sprue, an instruction booklet, a photoetched fret and a large decal sheet. 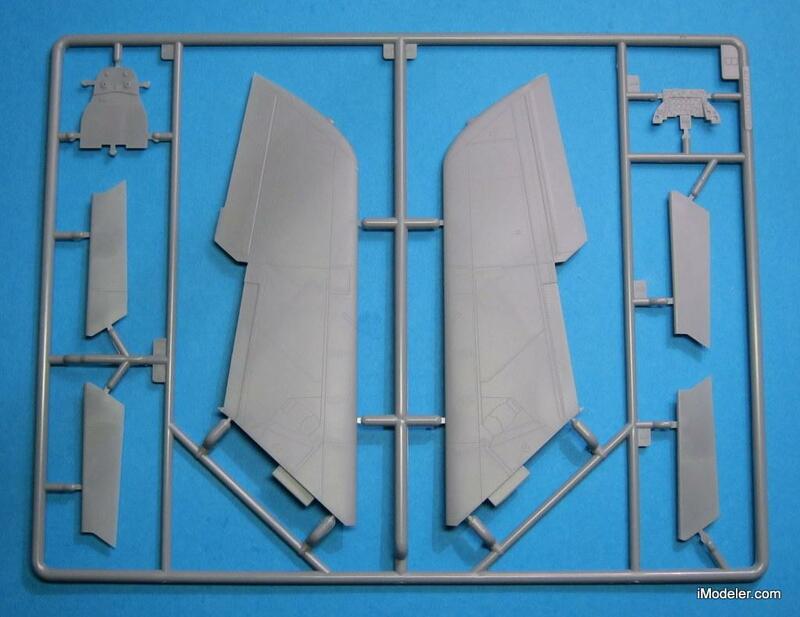 My first thought was that this is going to be fairly big model – the fuselage halves measure almost 30 cm (12 in) in length. While substantial in size, the kit is notably simple in layout, with engineering reminiscent of some of the Tamigawa’s “shake-and-bake” offerings in this scale. The main components feature some exquisite recessed panel lines and rivet detail. 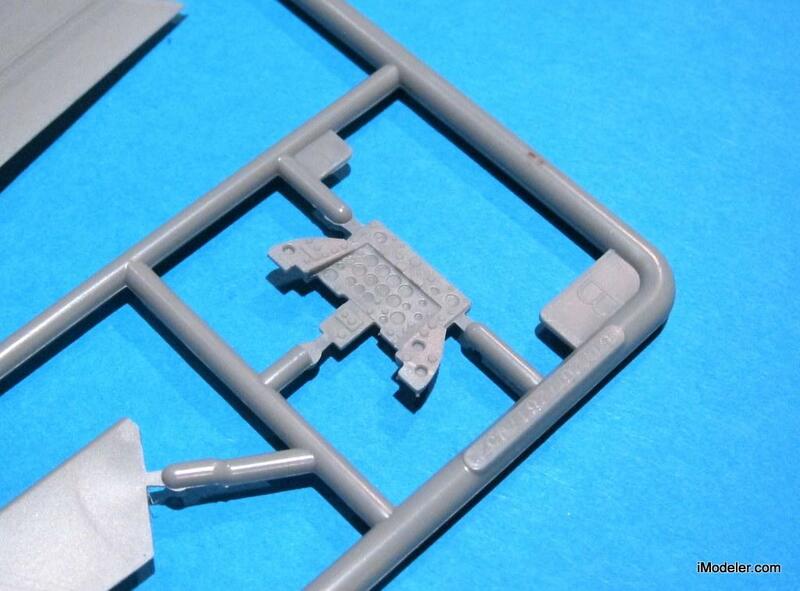 It should look great even under a natural metal finish and is one of the strong points of this kit. 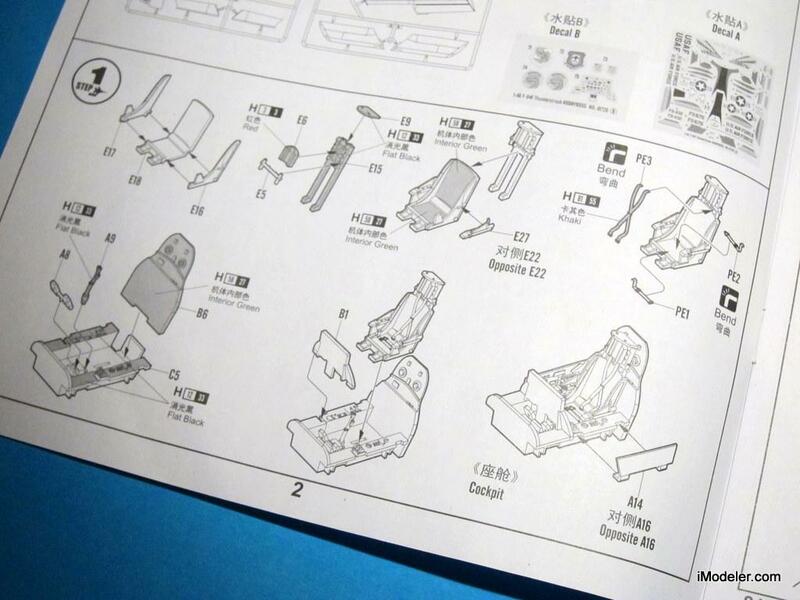 In the cockpit there is a rather detailed ejection seat comprising a dozen individual parts. In contrast, the rest of the cockpit is rather bare. 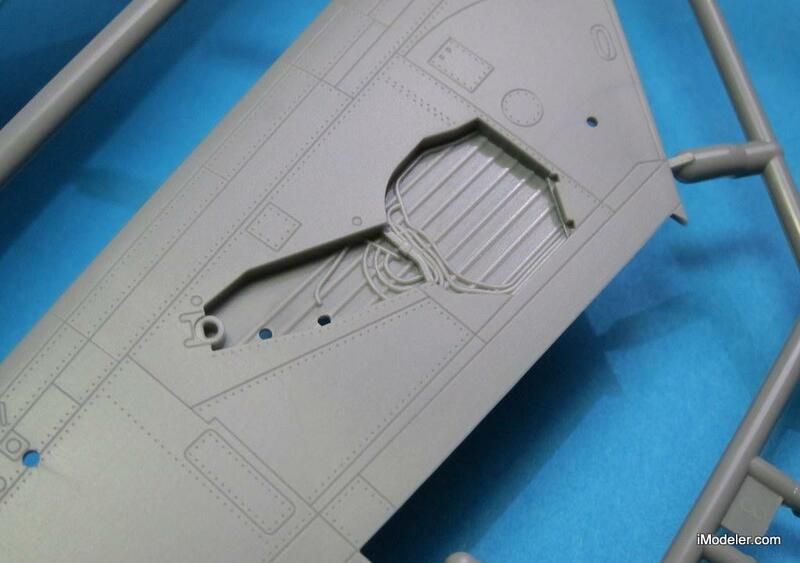 Decal is provided for the instrument panel, and there is a set of photoetched seat belts. The fuselage sports open airbrakes. The internal detail is sufficient with no ejection pin marks anywhere on the visible surfaces – some thoughtful engineering there. 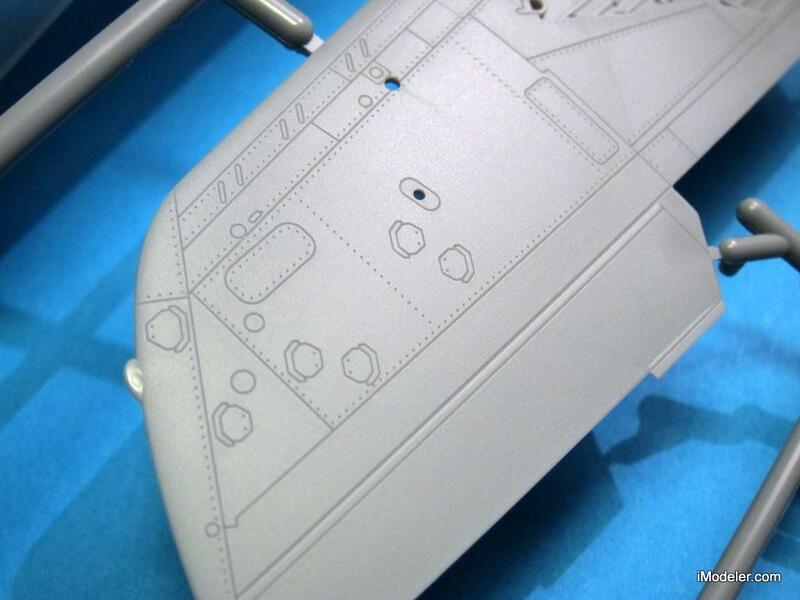 The perforated outer surface of each airbrake is provided as a photoetched sheet. 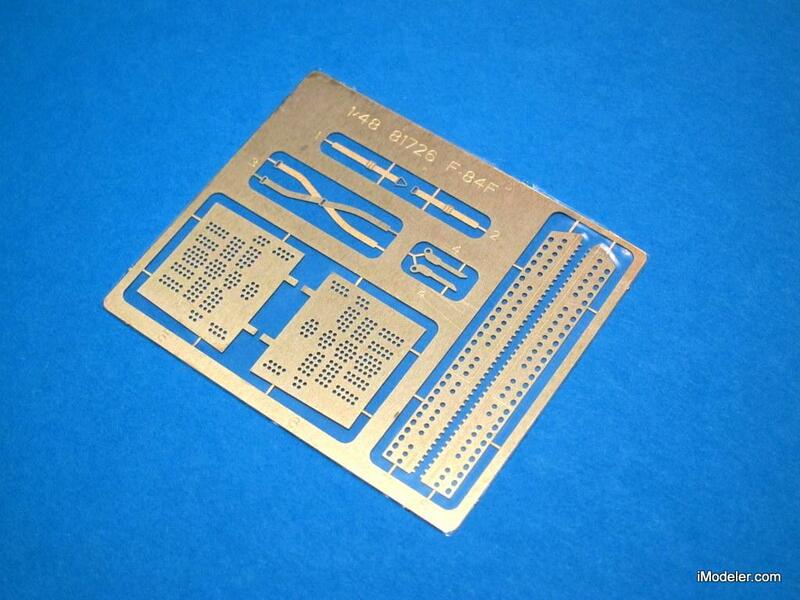 This looks like a good compromise between accuracy and ease of assembly. 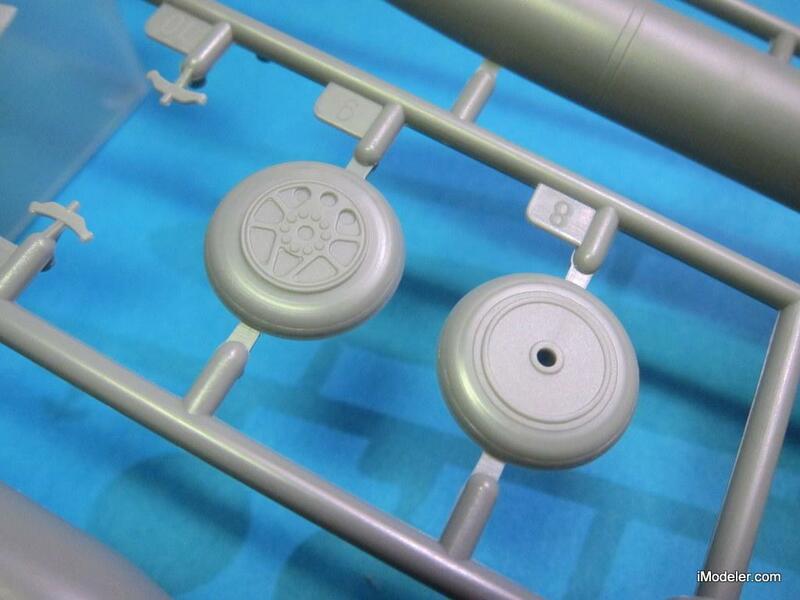 The front gear leg comes molded in one piece together with the wheel. 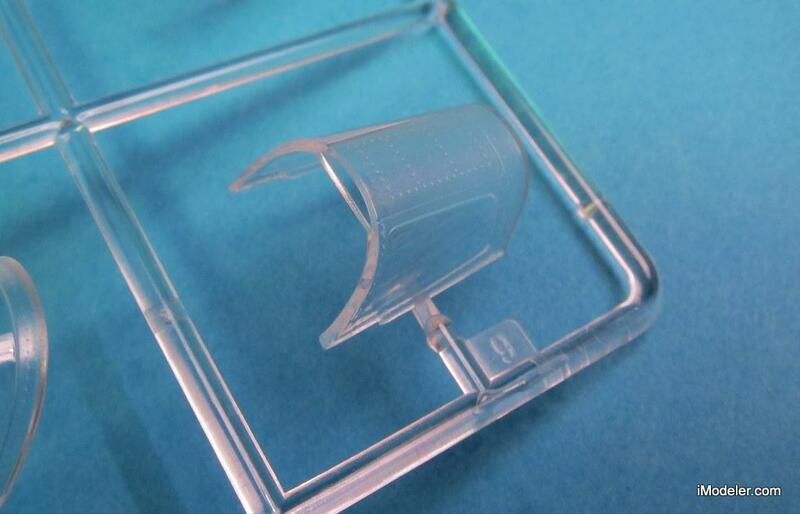 This part looks very fragile. Although its dimensions may well be true to scale, I’m having serious concerns about it breaking off at some point, especially if you put too much weight in the nose. I wish a metal rod was provided to reinforce it. Such as it is, I’ll need to figure out some way of adding structural strength to it, which seems tricky. Ideas are welcome! Because of the thin wing the main gear bays on the F-84F were rather shallow, but the ones in the kit are very shallow indeed. I wish that Hobby Boss has chosen to mould them into the upper wing halves, not integrally with the lower wing as is the case here. The main wheels hubs are accurate in shape, but the detail is very shallow. 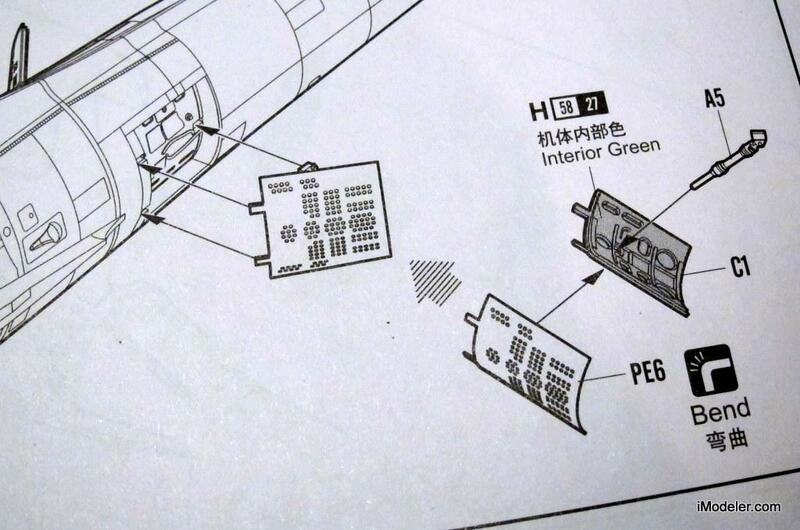 The wing comes with separate flaps. The flaps come in two halves, but I’d prefer to have them each in one piece. 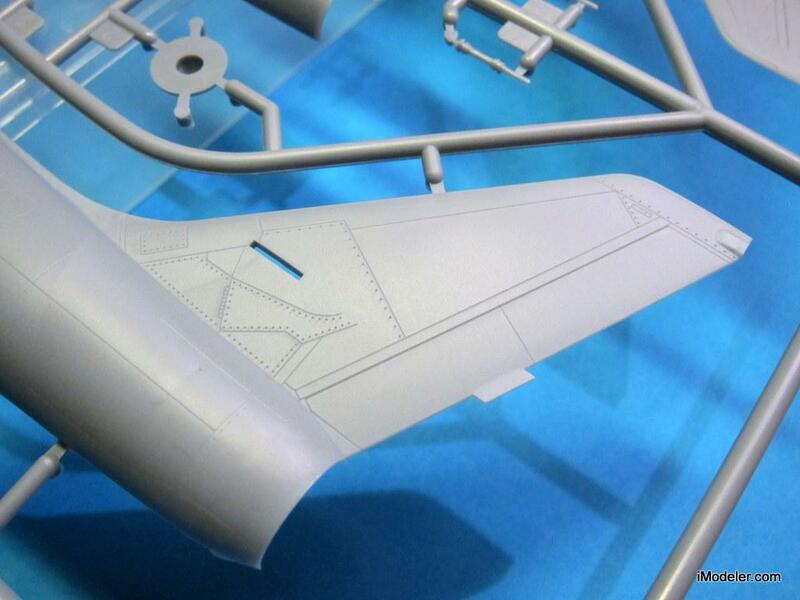 Once again, the wing surface detail is very fine. 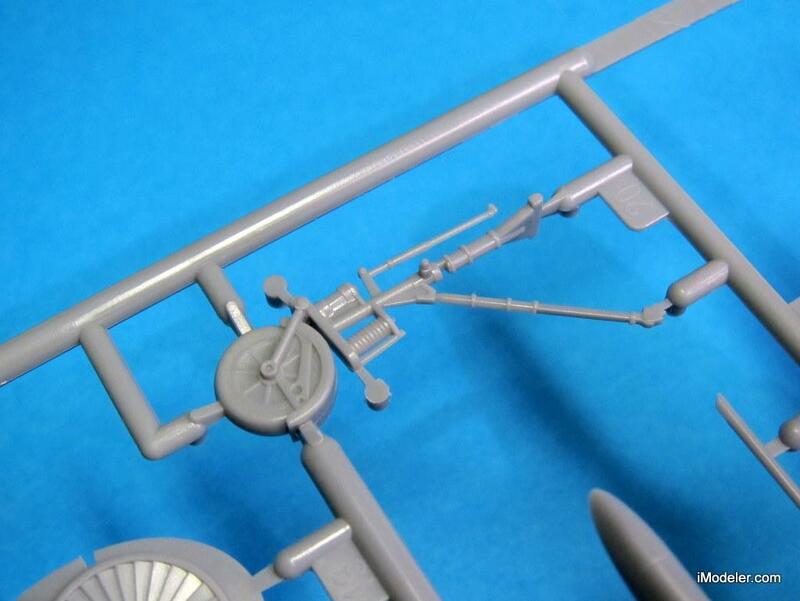 A complement of underwing tanks and bombs is included, and these items feature good detail. 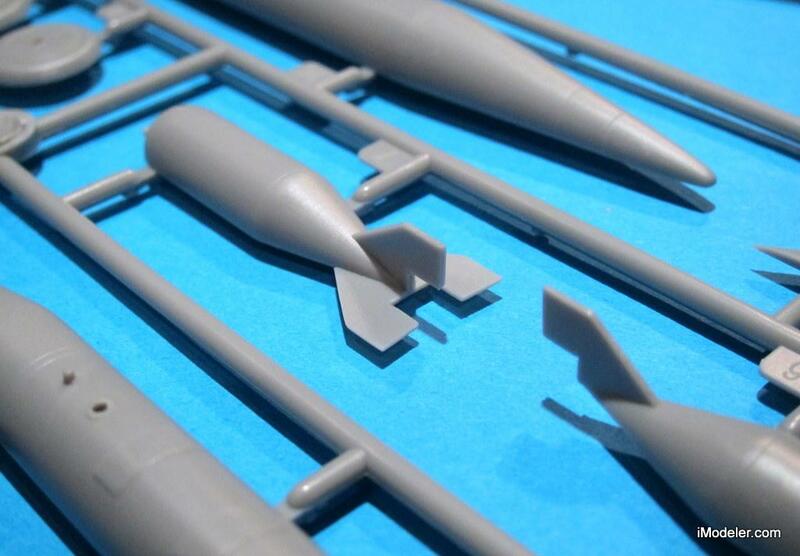 The bombs are two-part assemblies, easy to put together at the expense of the bomb fins being too thick. 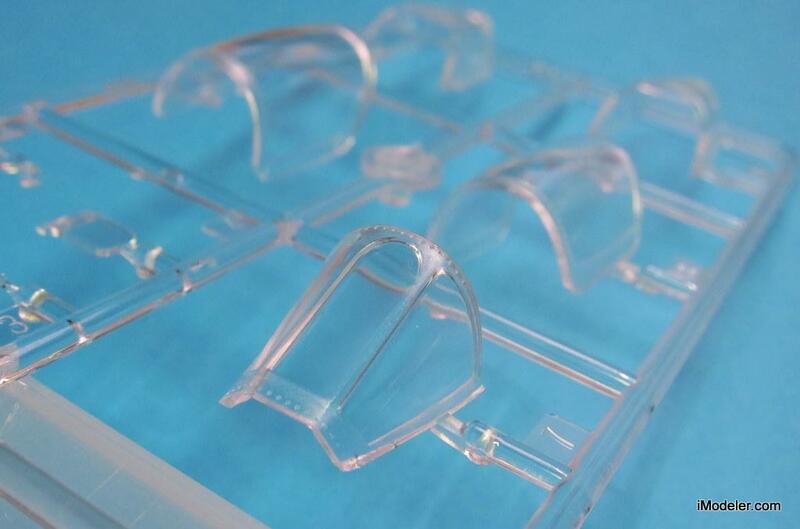 There are two separate sets of transparencies for the canopy in open and closed position. These are beautifully clear with suitable embossed rivet detail on the framing. 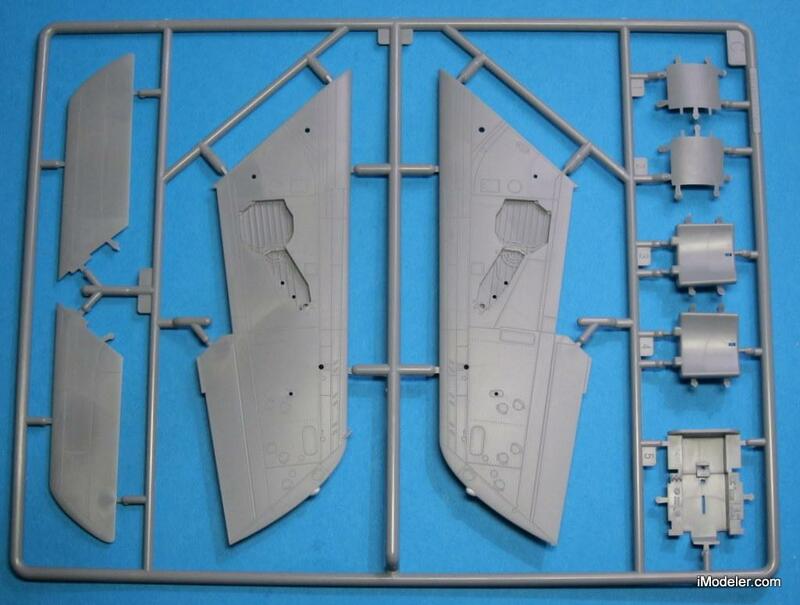 The kit includes markings for two aircraft: F-84F-30-GK s/n 51-9432, Wing Commander of SAC 407th SFW and F-84F-45-RE s/n 52-6675 of the 78th Tactical Fighter Squadron, 81st Fighter Bomber Wing. Both are natural-metal machines with colorful markings. 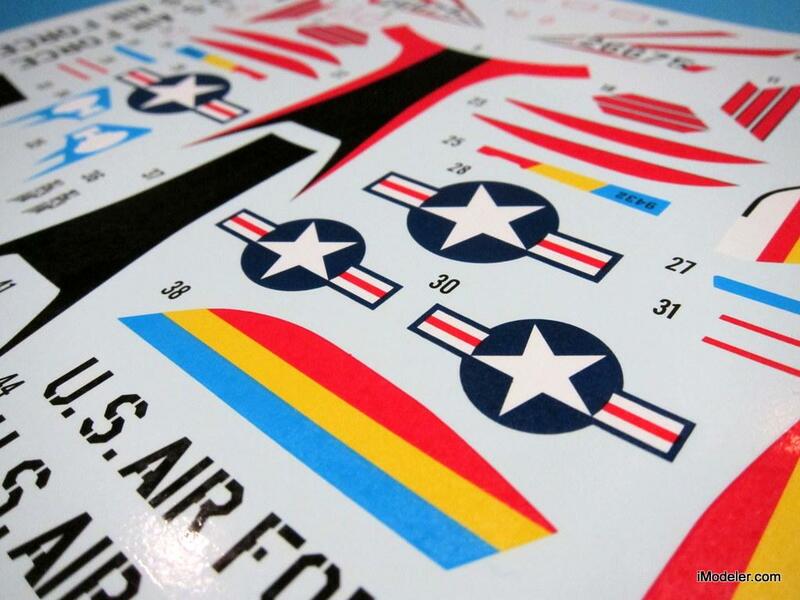 The decals are in register and the colors appear accurate. 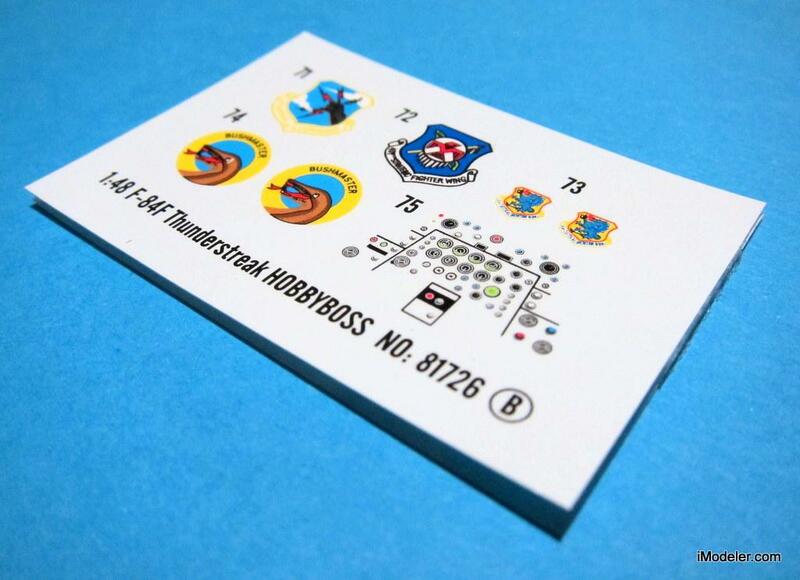 Highly detailed unit insignia are printed separately on a smaller sheet for improved detail. Curiously, the color instruction sheet calls for “Grey” Gunze Sangyo shade where NMF should be, even translating it to Humbrol 121 Pale Stone. Warning for bogus color callouts! 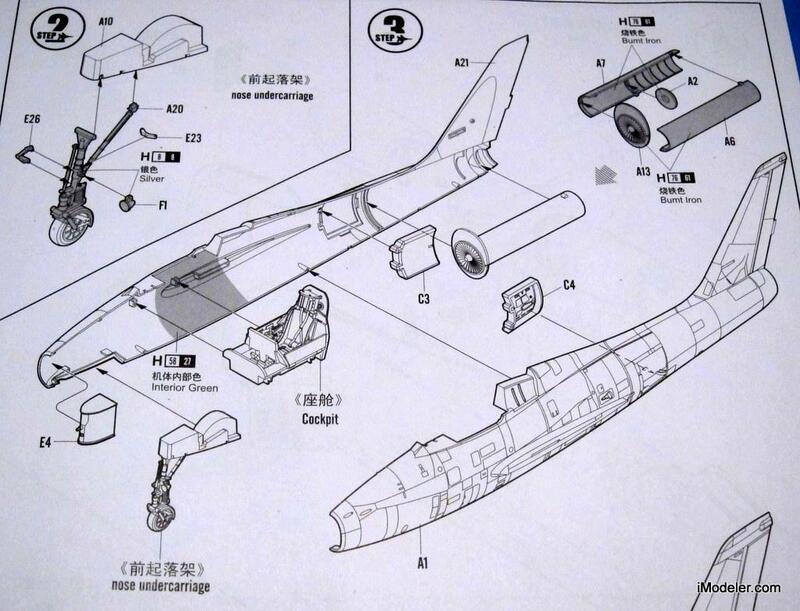 Accuracy-wise, the outline of the fuselage, wings and tailplanes conforms well with the classic G A G Cox drawings from Aircraft Archive – which despite their age are probably still the best available scale drawings of the Thunderstreak. I’m excited about this kit. It carries a promise of easy assembly, appears to be accurate in outline, and features some gorgeous surface detail which will look great with natural metal finish. Minus points are minor and are concentrated to the landing gear: fiddly nose leg, integral gear bays and anemic wheel hub detail. The Hobby Boss F-84F goes into the top of my build list. The Fs tend to sit back a little on their main gear, with a somewhat squat look favouring the aft fuselage, so maybe the front gear delicacy won’t be an issue. Still, would’ve been nicer to see it made up in separate parts, for ease and detail in painting if nothing else. Beautiful aircraft in go-faster silver. Certainly looks good in the box, and definitely doesn’t appear to be another copy of the Monogram kit. 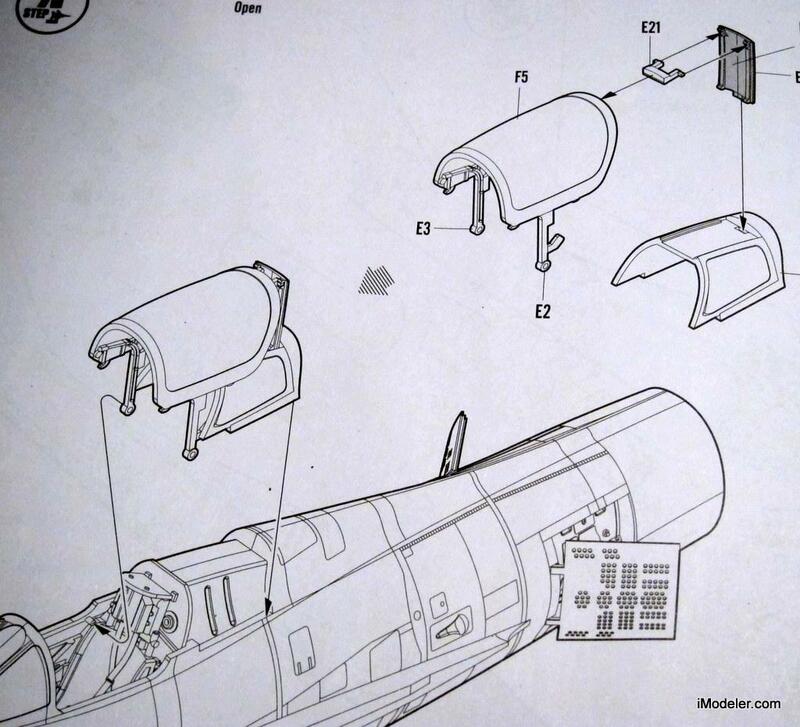 The nose intake looks to be correctly shaped, but the intake splitter looks a bit shallow with some possible see through to the cockpit. Aftermarket will soon deal with that I’m sure. Would like to see some different markings for a change, seem’s like we get the same decals in every kit. There are so many possibilities from the different users of this aircraft it would have been nice to see markings for a Luftwaffe, Italian, or other NATO aircraft, plus a US Air Guard aircraft in either natural metal or SEA Camo. Some different choices in underwing stores would be a plus, eg., rocket rack stacks, or rocket pods especially the hexagonical rocket pods the Luftwaffe used. Probably tough to beat anything from Monogram in its’ day, but this looks promising. 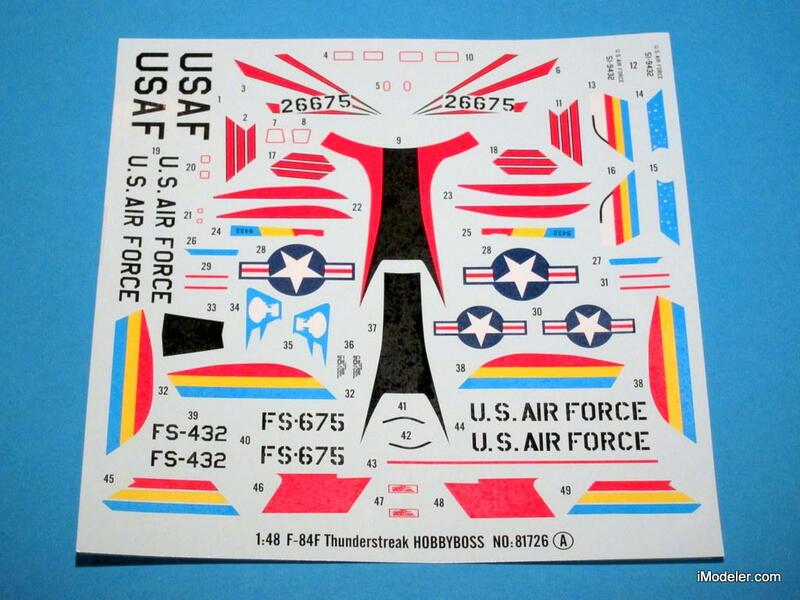 I think you can get after-market Thunderbird decals – now THAT would be a cool look on this airframe. definitely doesn’t appear to be another copy of the Monogram kit. No, it’s a genuine effort. I received two of these kits 2nd November, built one straight way. 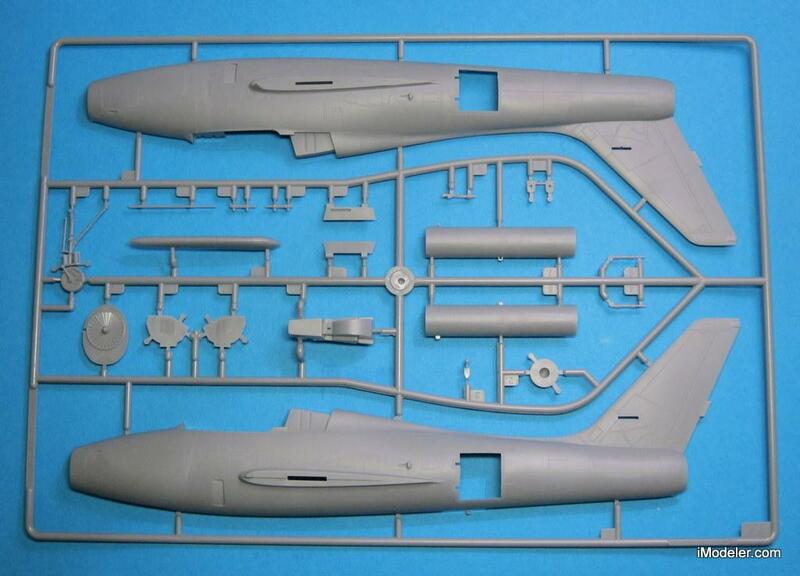 The other went to Harold at AMS Resin and he has most of the upgrade parts already done. Though the exterior is mostly very good, there are a few warts. 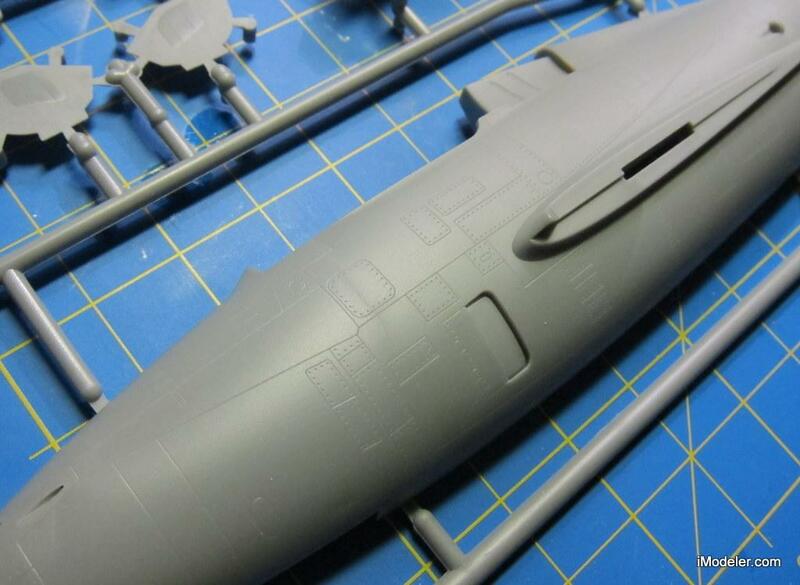 In contrast, the interior parts are either inaccurate or lacking detail or both. Extensive info may be found at the following links. 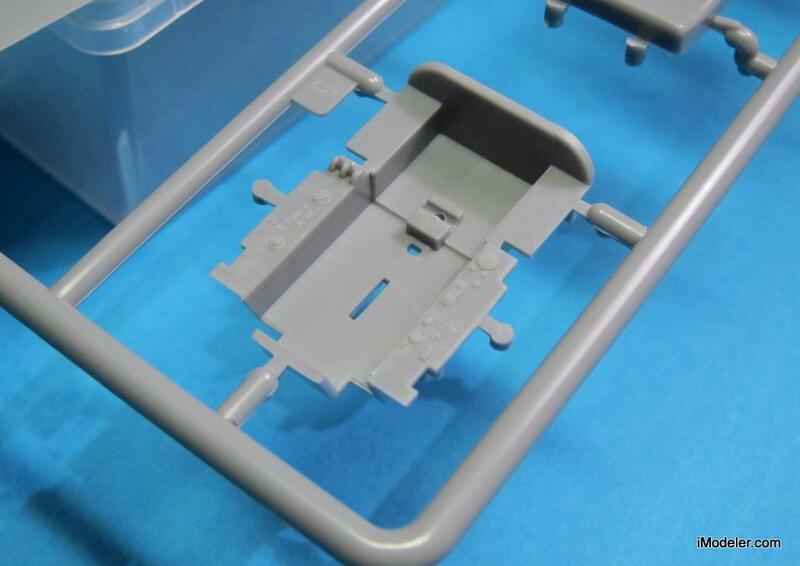 AMS Resin and I (and others) “First Look” report. My “Straight from the Box” build report. The Nose intake …one photo is not the end all to beat all. However, that photo does raise some questions about the intake shape and after reading some of the comments posted on ARC…they really didn’t touch that issue much. Perhaps a resin replacement is in the works. Here is site with more intake photos. 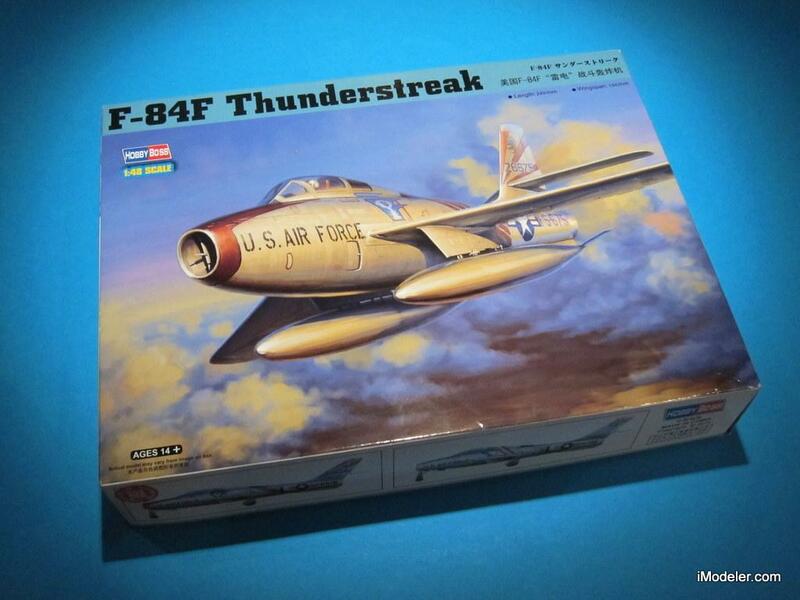 For nostalgic reasons I feel a connection to the Thunderstreak in 48th scale, as a friend built the Monogram kit back in the 80s. It did look good in brushpainted Humbrol Silver. As for the weak nose gear leg I am pretty sure SAC will come up with a metal substitute soon. Thanks for a great review, I may have to pick up this kit sooner or later. Here’s hoping they give us 72nd scale builders a new one. Gary, your Monogram build is excellent and, I say, you have every good reason to be satisfied with it! 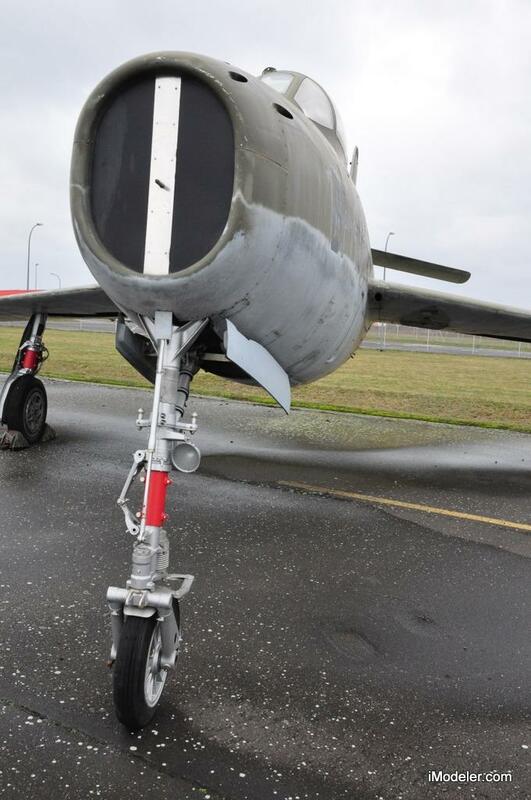 Anders, SAC already has 48th landing gear for F-84F, but as that set does not include wheels, and as the HB kit nose wheel is one piece with the nose gear, aftermarket wheels are a must. Note that the main wheels are inaccurate and lacking in detail. 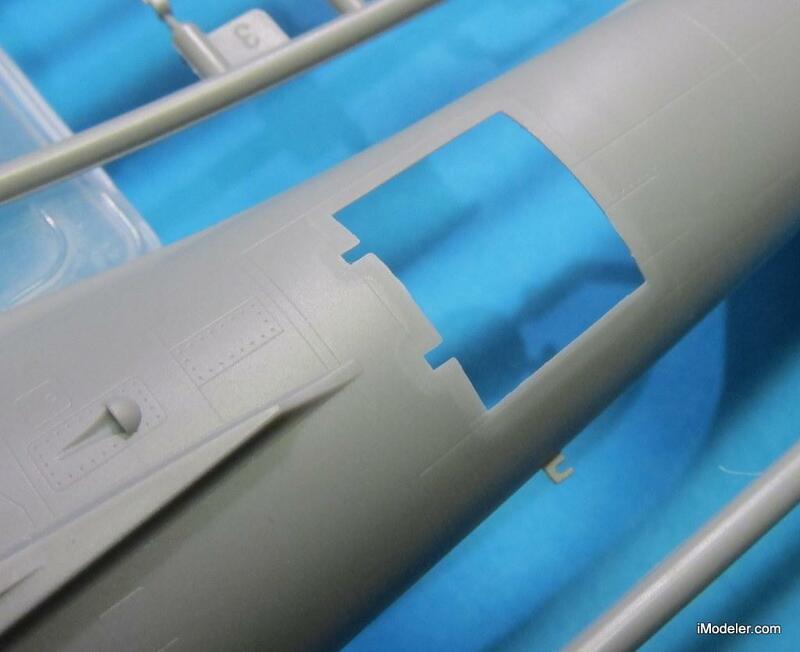 AMS Resin has the main wheels done and the nose wheel and fender are in the works. Thanks, Plankwing! Good to know.